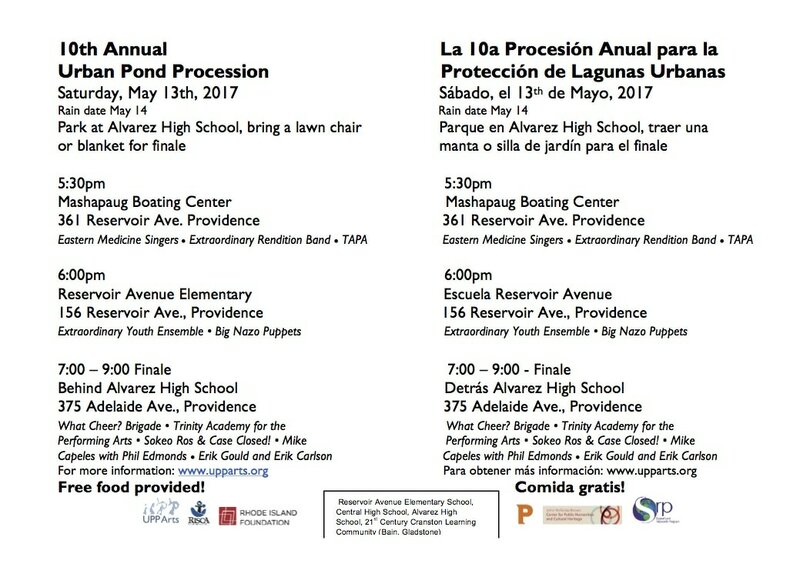 On May 13, 2017, we celebrated "The Stories of Mashapaug Pond" and passed the torch during our 10th and final Urban Pond Procession. 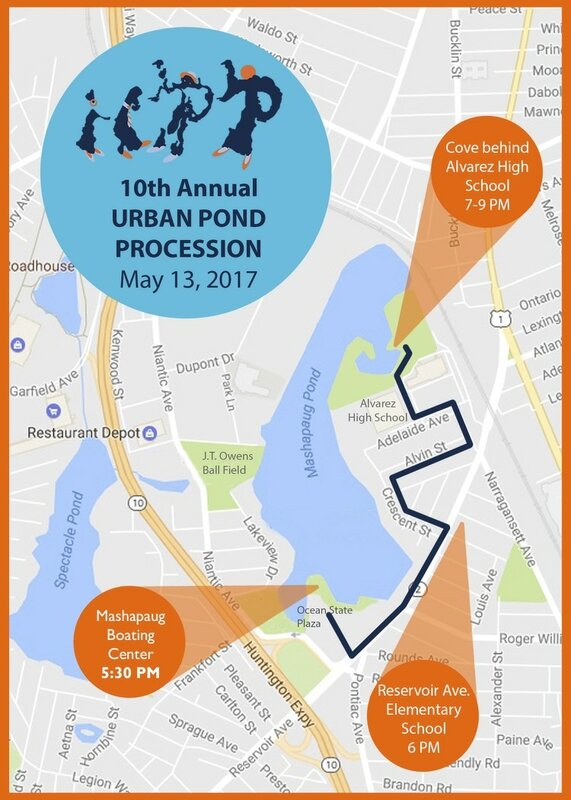 The Urban Pond Procession is a growing, culminating event that takes place every year in late-Spring or early-Summer to celebrate and cultivate public and political interest in the health of the Lower Pawtuxet River Watershed. The Procession route changes each year, usually weaving through the neighborhoods around Mashapaug Pond and Roger Williams Park, following the path of water through the watershed. Food, music and environmental health updates are shared, along with the many arts projects produced in the months leading up the Procession by artists and local youth. We welcome other interested organizations and individuals to join us in our celebration! We always have flags to wave and fish costumes to wear for those who come to process with us.